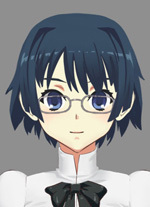 Hi guys, suddenly I made Shizune avatar for FaceRig programm http://steamcommunity.com/sharedfiles/f ... =877893537. Maybe someone can enjoy this. If you don't have FaceRig and want to play with the model write private message to me. This is pretty amazing, well done. Had a brief look into Live2D myself a while ago but couldn't make heads or tails of it. Any plans for other girls? That does look pretty cool. Is there anyway to make the neck color match the face though? Oddball wrote: That does look pretty cool. Is there anyway to make the neck color match the face though? Good observation, I forgot that shadow from the head will affect collar. I will correct this. Suriko wrote: This is pretty amazing, well done. Had a brief look into Live2D myself a while ago but couldn't make heads or tails of it. I want to mess up with Live2d and Unity. Maybe I will make small dress up game. 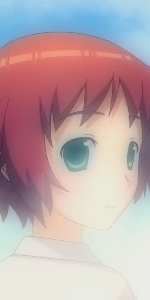 FaceRig is pretty boring as application. I made small programm in Unity. Shizune looks in the direction of mouse pointer when you press LMB. Unity have much filters, wow. I hope dropbox link is ok. This is cool, I like cool. "What's the word for when it feels inside your heart that everything in the world is alright?" Pity I work in Unreal. This is a neat system.